Personal protective and lifesaving equipment are critical lines of defense against exposure when engineering controls, good work practices, and other measures cannot eliminate a hazard. This online course is designed to teach workers how to properly choose and use PPE in a construction setting. 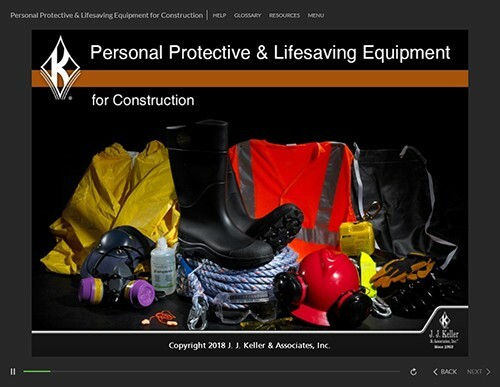 Thank you for your interest in previewing the Personal Protective & Lifesaving Equipment for Construction online course. Please register or log in to watch free previews, browse the course library, purchase training points, and more.